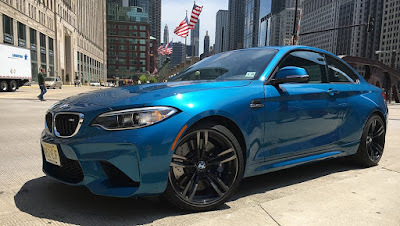 Mobileye (MBLY) and Intel (INTC) are providing technology that BMW (BAMXY) will use in a fleet of self-driving cars it plans to introduce in 2021, the companies announced on 1 July 2016. BMW said it will use Mobileye and Intel technology for "highly and fully automated driving" in the BMW iNext, an all-electric vehicle. It will be the foundation for BMW Group's autonomous driving strategy and set the basis for fleets of fully autonomous vehicles "for the purpose of automated ride-sharing solutions," the announcement said. BMW initially announced the iNext at its annual shareholder meeting in May. CEO Harald Krueger told shareholders the iNext will be the company's "new innovation driver, with autonomous driving, digital connectivity, intelligent lightweight design, a totally new interior and ultimately bringing the next generation of electro-mobility to the road." "Today marks an important milestone for the automotive industry as we enter a world of new mobility," Mobileye Chairman Amnon Shashua said in the companies' press release. "Together with BMW Group and Intel, Mobileye is laying the groundwork for the technology of future mobility that enables fully autonomous driving to become a reality within the next few years." He said Mobileye will provide its "expertise in sensing, localization and driver policy to enable fully autonomous driving in this cooperation." Intel said it will provide "a broad set of in-vehicle and cloud computing, connectivity, safety and security, and machine-learning assets to this collaboration, enabling a truly end-to-end solution." Apple is rumored to be developing autonomous car technology. Apple hasn't confirmed those reports, but it recently invested $1 billion in Didi Chuxing, a ride-hailing service competing with Uber in China. Analysts theorize that its $1 billion investment in Didi is seen as part of those plans.